This Sportsmen 231BHLE is a 23ft Double over Double bunks with an outside kitchen and sleeping for 6-8 people. 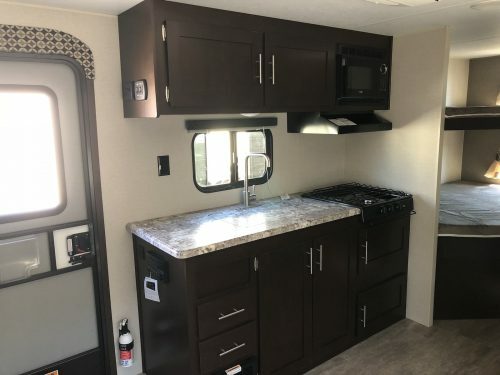 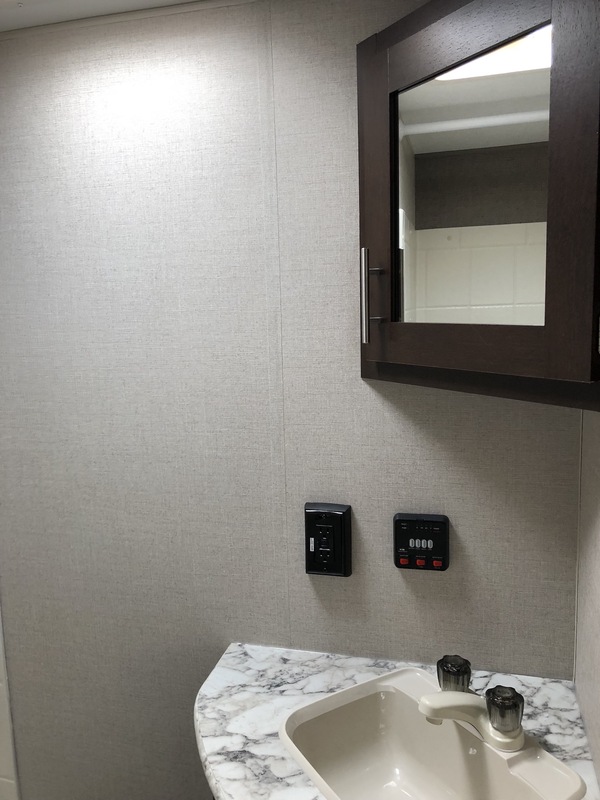 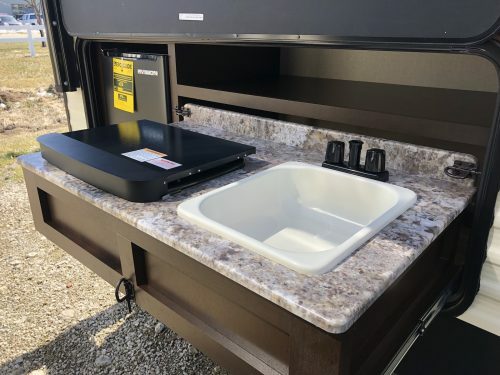 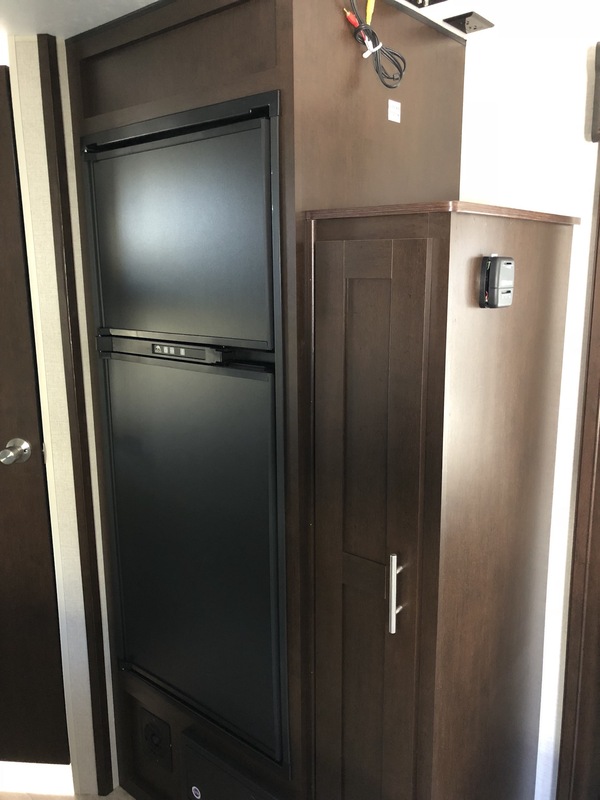 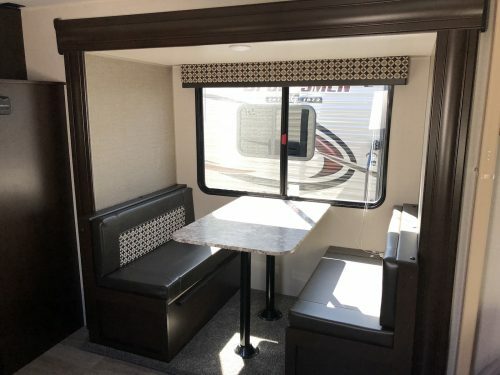 The inside of the 231BHLE has one slide out with a dinette, across from the dinette is a full RV kitchen with a 3 burner cooktop, microwave, and double bowl sink. 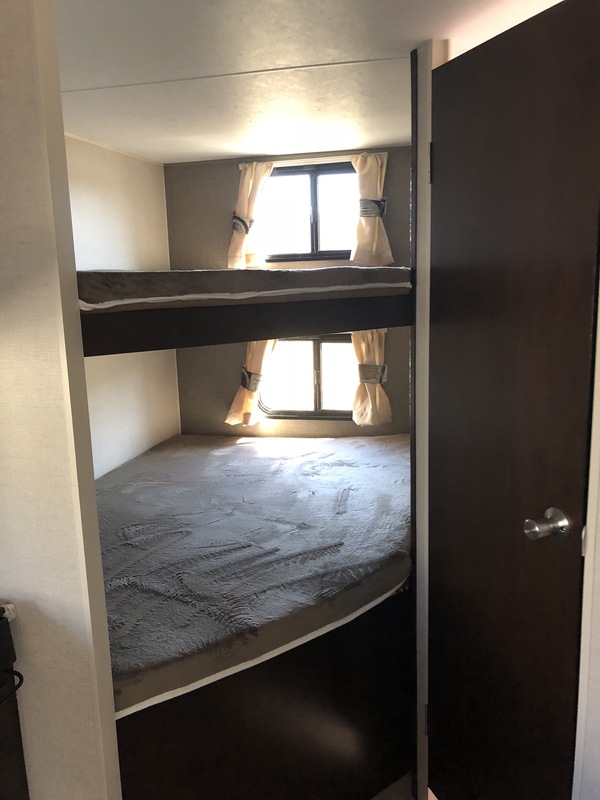 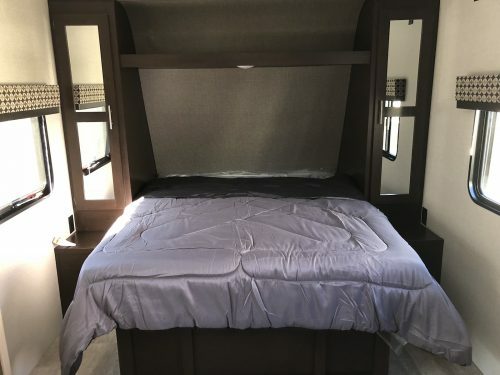 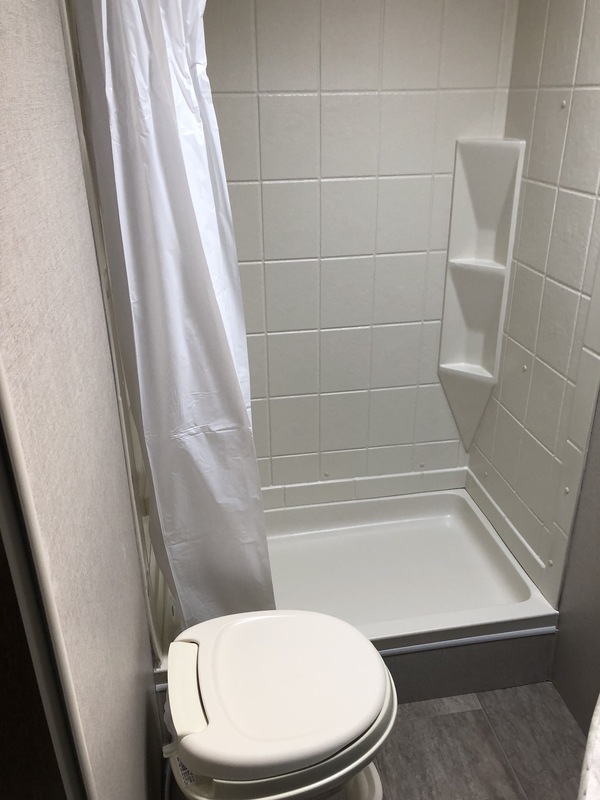 The double bunks are located in the back of the 23ft Bunkhouse alongside the bunks you will find the roomie bathroom with a shower/tub, foot flush toilet, and sink. 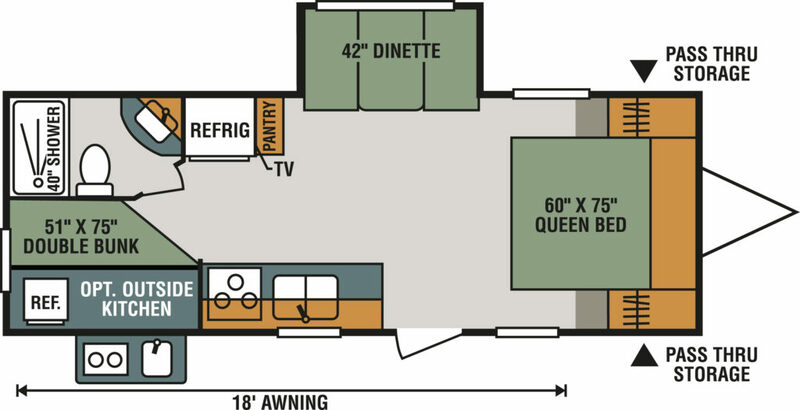 On the opposite side of the RV is where the master queen bed sits, with closet space on each end. 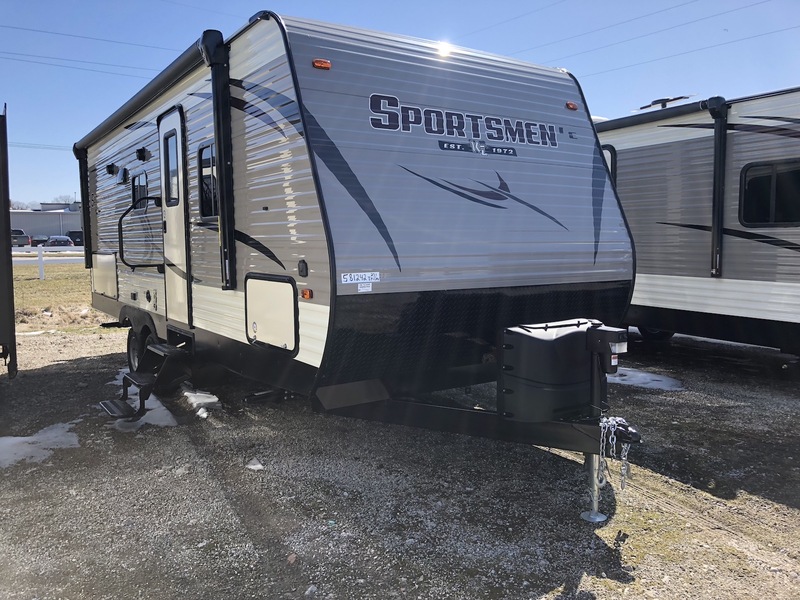 on the outside of Sportsmen LE 231BHLE, it has an 18ft awning that goes over the Outside kitchen. The kitchen on the outside is equipped with a small refrigerator, two burners cook two and sink. 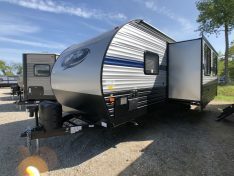 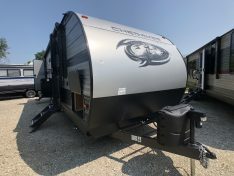 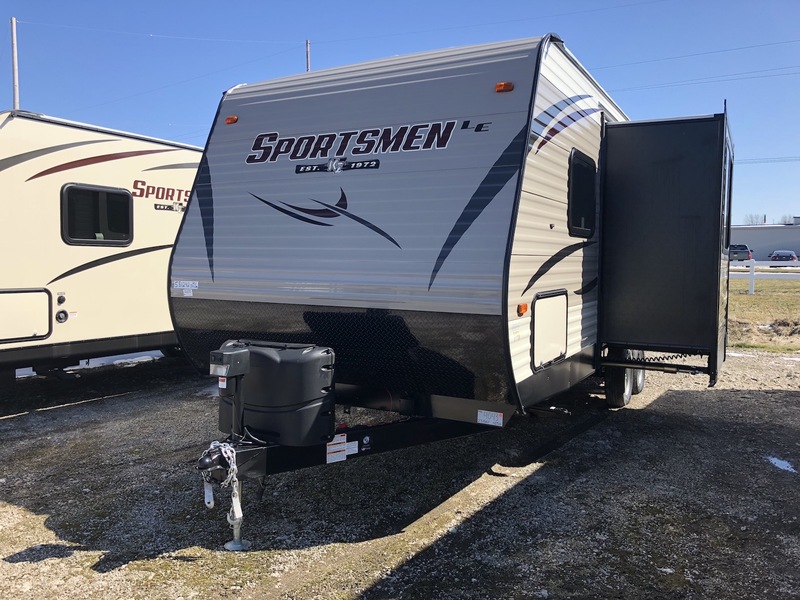 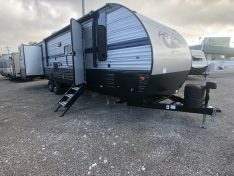 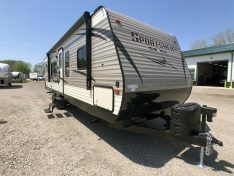 This bunkhouse sportsmen also has a front power tong jack and pass thru storage, making this RV perfect for any family!